From Michelin-star fine-dining affairs and cool vegan cafes to pop-up casual restaurants and amazing food trucks, Los Angeles has a lot to offer foodies. And with high calibre chefs flocking from all over the world to set up restaurants, LA is on the fast track to becoming a true culinary mecca. 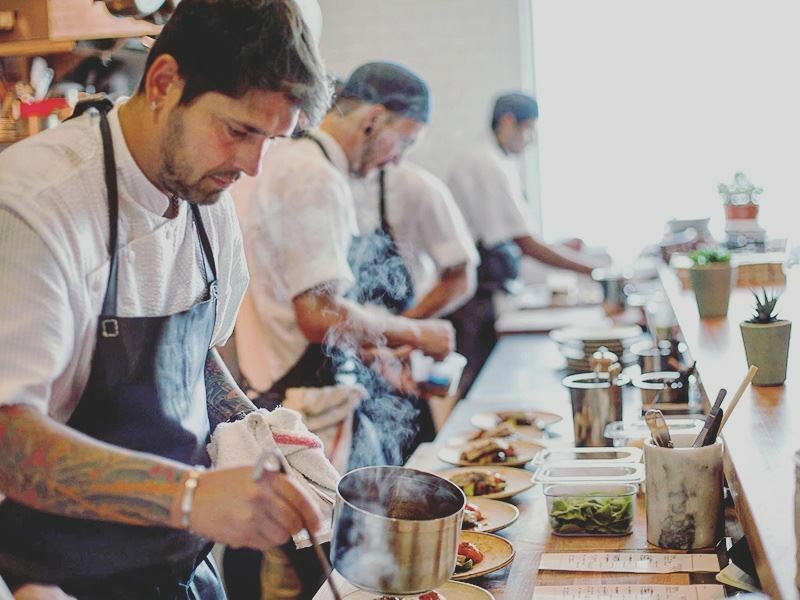 Whether you’re into perfectly seared steaks, gourmet French cuisine or creative sushi, take a look at our pick of the top 10 restaurants in Los Angeles. Where: You’ll find Sqirl at 720 N Virgil Avenue. The scene: Expect to stand shoulder-to-shoulder with local hipsters and even the odd celebrity whilst queueing up outside Sqirl to order your pick of the quirky-sounding breakfast or lunch dishes, but the often huge lines are more than worth the wait. 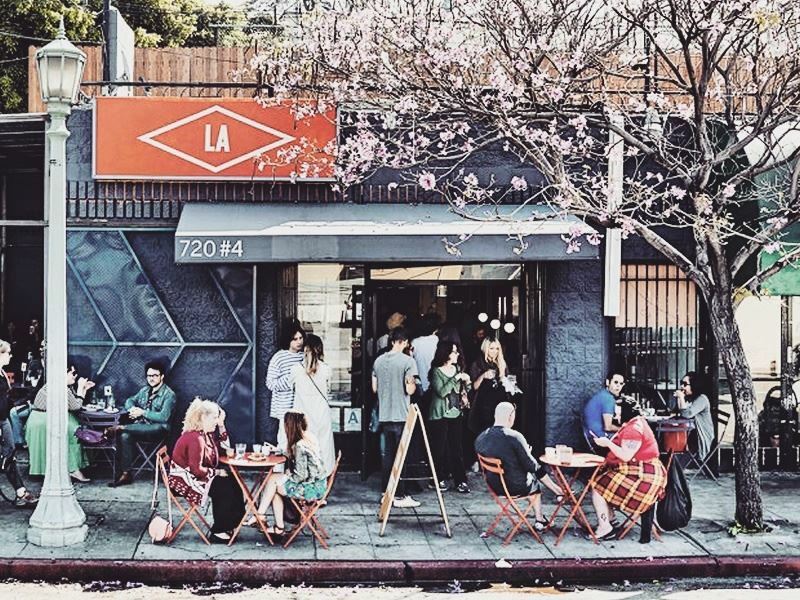 Seating is limited to a handful of casual tables and chairs scattered on the street in front of the tiny restaurant front where you can delve into innovative rice bowls and nibble on toast generously covered with inventive toppings whilst being surrounded by the exciting buzz that is LA. The menu is largely vegetarian (although you’ll still find a few stellar meat dishes, including rabbit confit and roast chicken) with eggs, green vegetables and either rice or brioche toast being the focal point of each dish. There’s also a great selection of sweet treats, from pillow-soft Fleur de Sel cookies to ooey-gooey pudding cakes. All the seasonal jams are made onsite and are in such high demand that you can buy them in jars before you leave. Signature dish: Famed ricotta toast. A thick slice of purposefully toasted-until-black brioche smothered in house-made ricotta and covered in seasonal jam. Where: Spago is located at 176 North Canon Drive, Beverly Hills. 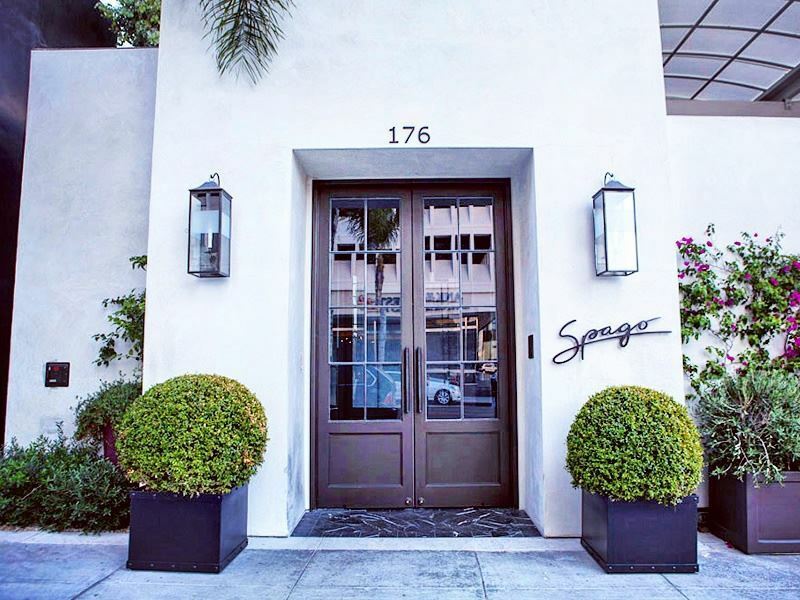 The scene: Spago is the legendary flagship restaurant of Wolfgang Puck and Barbara Lazaroff. One of only three restaurants in Beverly Hills which can boast two Michelin stars, as well as the AAA Four Diamond Award, this modern restaurant provides diners with the iconic Californian cuisine which skyrocketed Puck to stardom. 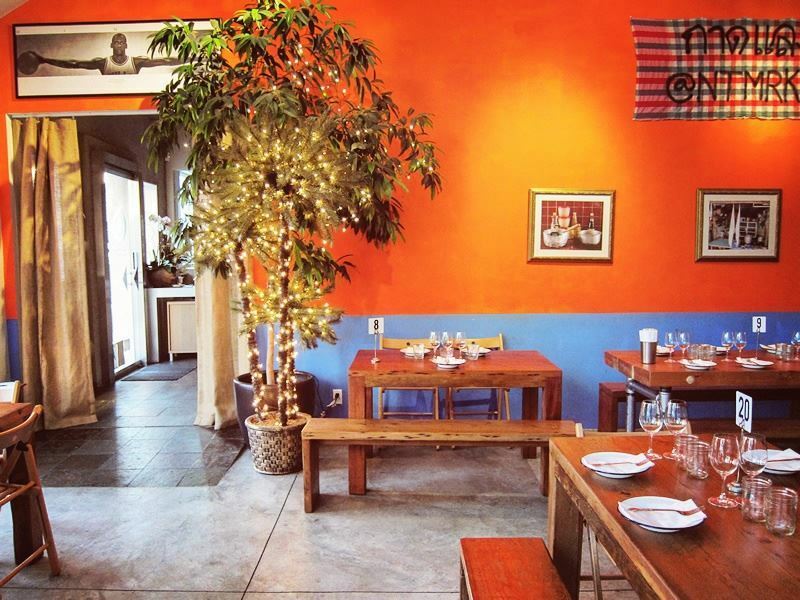 The dining room, decorated with clean simple lines and natural wooden touches for an organic feel, is often packed with celebrities and other famous faces, making it one of the best places to see and be seen in LA. Get your booking in early enough and you’ll be lucky enough to score yourself a table on the stunning outdoor patio where twinkling stars peek through the leaves of soaring trees. The market-driven menu is comprised of the freshest, highest-quality ingredients available, inspired by the restaurant’s own garden and infused with the head chef’s signature styles. Signature dish: Veal Wiener schnitzel served with a light Austrian potato and cucumber salad with baby greens. Only available on the lunch menu. 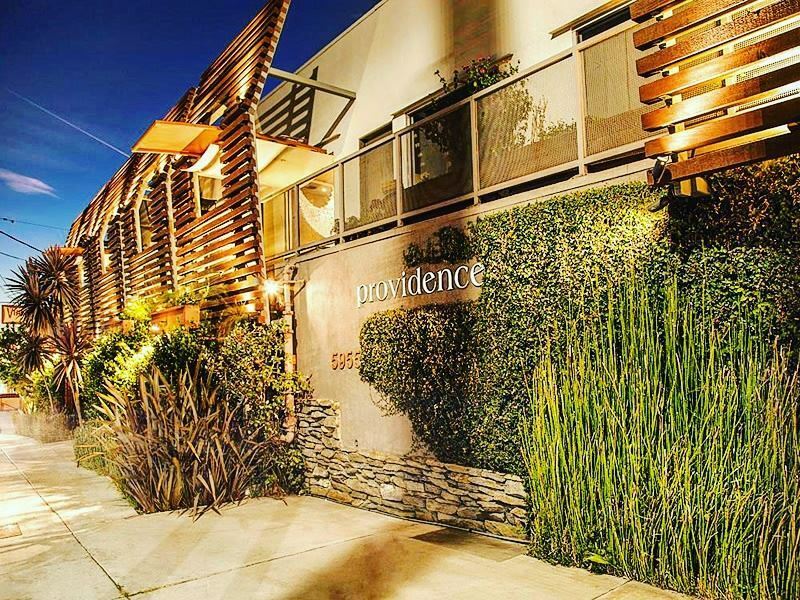 Where: Providence is situated at 5955 Melrose Avenue. The scene: A roomy, high-ceiling dining room where pressed white tablecloths and black wooden chairs create a fine dining atmosphere which contrasts with unconventional sea shell decorations covering sand-coloured walls, Providence is the perfect dining venue for celebrating big milestones or impressing that special someone. This top contender sets the standard of quality seafood restaurants in America with cutting-edge signature and seasonal tasting menus for dinner, plus hot and cold selections from a small a la carte menu for lunch. The refined dishes, complemented by a knockout international wine list, are promptly brought to your table by flawless staff rated first for service in Los Angeles. With everything from savoury squid and chorizo lollipop starters to Maine lobster main courses and artisanal cheese plates for dessert, Providence is the ideal dining venue for an adventurous seafood lover. Signature dish: Signature tasting menu. A seven-course culinary delight of sashimi, scallops, lobster and sea bass followed by wild salmon, duck or wagyu beef, finished with a lemon sorbet and a Japanese soybean dessert. 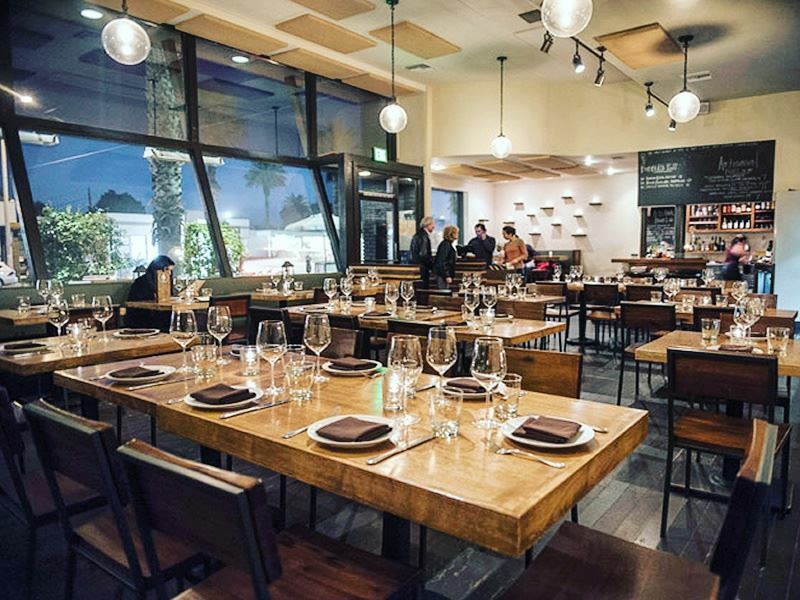 Where: You’ll find Rustic Canyon at 1119 Wilshire Boulevard in Santa Monica. The scene: An extension of the quiet, intimate dinners originally held inside the founder’s beautiful home, Rustic Canyon is a place where friends and family can celebrate the best things in life: delicious food, superb wine and fantastic company. The décor is modern and minimalist, with huge wall-size windows drenching diners seated on tall wooden chairs next to matching wooden tables in warm sunlight during the early evening service. The farmers’ market-inspired menu is full of ingredients sourced locally from nearby farms, ranches and fishermen who practice sustainable agriculture. The Californian dishes are all carefully put together with sharing in mind, so everyone can enjoy a little taste of everything, from the floral lavender almonds and rustic pork terrine to the juicy roasted halibut and steak tartare. The handcrafted cocktails and artisanal beers are truly not to be missed. Signature dish: Pozole verde with mussels, rancho gordo hominy, poblano and tortilla. Where: Bestia is located at 2121 East 7th Place. The scene: Currently one of the most talked about restaurants in LA, Bestia serves up incredible Italian cuisine with a modern, imaginative twist. Dishes piled high with house made spaghetti strands tangled together and doused with sea urchin tomato sauce mingle with plate-size puffy pizza bases liberally spread with ricotta and topped with house-cured salumi at this wide open restaurant where exposed brickwork and an unfinished ceiling create a chic urban aesthetic. The husband and wife chef team work together to create a constantly refreshed menu which pushes adventurous eaters out of their comfort zones, all the while managing an energetic, buzzing serving team eager to please and deliver. With the urban vibe and dynamic energy comes a lot of noise and bustle, so prepare to shout across the table to be heard. Signature dish: Spaghetti Rustichella. House made spaghetti served with a tomato sauce flavoured with sea urchins, garlic, Calabrian chillies, squid ink bottarga and Thai basil. 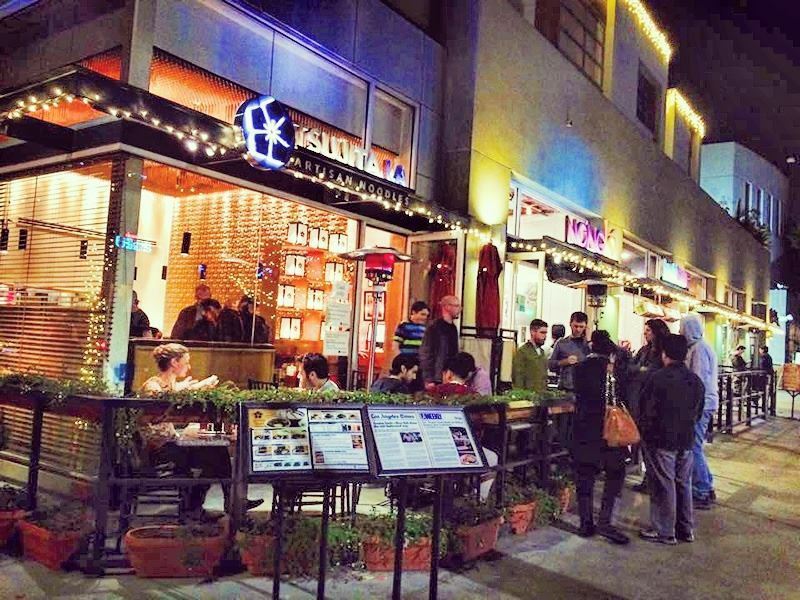 Where: Tsujita can be found at 2057 Sawtelle Boulevard. The scene: A stunning and somewhat hypnotic dining room with chocolate-brown romantic booth seating, big square tables for group dinners and an elongated bar for the true Japanese dining experience welcomes guests who enter Tsujita. The mesmerising geometric patterns which blend from the walls up onto the ceiling are the first things which catch your eye, but your attention will soon be pulled into another direction as the unmistakable smell of freshly prepared ramen and speciality tsukemen bowls wafts through the air. For both the tsukemen and tonkotsu ramen dishes, the pork broth is gently stewed for 60 hours, creating a rich and intense taste you won’t get any other way. The noodles are served separately and cooked to your liking (hard, medium or soft) for just the right amount of chewiness. Signature dish: Char siu tsukemen: a bowl of slowly simmered tsukemen soup served with an accompanying dish of sliced barbecued pork. 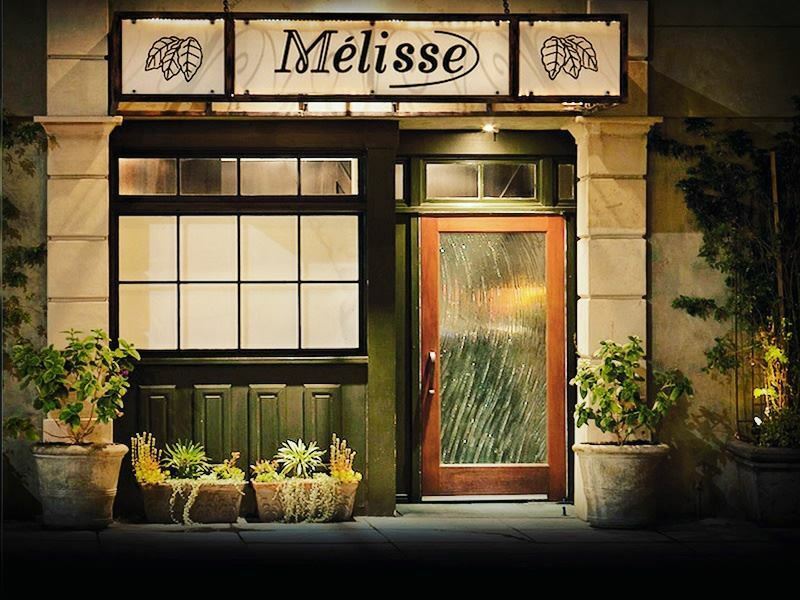 Where: Mélisse is situated at 1104 Wilshire Boulevard in Santa Monica. The scene: Declared “one of the finest five star properties in the world” by Forbes Travel Guide in 2013, Mélisse takes over the senses with its sophisticated ambiance, unparalleled contemporary French cuisine and swift gracious service: three things which are hard to come by in LA where cool cafes serving tapas-style dishes and large sharing plates are on the rise. The crisp white dining cloths, plush armchair seating and suit-wearing table servers signify fine dining right from the start, a theme which carries on into the menu. Although the four-course a la carte menu is excellent and features sublime dishes such as wagyu beef tartare and lemon-crusted Dover sole prepared table-side, the ten-course tasting menu (aptly named Ten) is unmissable. There is an equally delicious five-course vegetarian tasting menu on offer, as well as international wine pairings for an additional cost. Signature dish: Egg Caviar. A soft-poached egg served in its shell with lemon crème fraîche, topped with American caviar. Available as an amuse bouche on the Ten tasting menu or a la carte for a supplement. Where: You’ll find Trois Mec at 716 North Highland Avenue. The scene: Trois Mec (which can be loosely translated as “three guys”, referring to the three founding chefs) is home to a constantly changing five-course tasting menu. But instead of making a reservation to bag a table, you’ll need to go through the rather unusual process of booking a ticket for the gastronomic event in advance on the restaurant’s website. All the stuffy pretention of having the nerve to have a ticketing system will be washed away when you find yourself stood outside the old, small pizza parlour in a strip mall that Trois Mec is set inside. But that’s the charm of this place: it offers foodies unpretentious fine-dining with a reliably suprising French-Eclectic prix fixe menu. 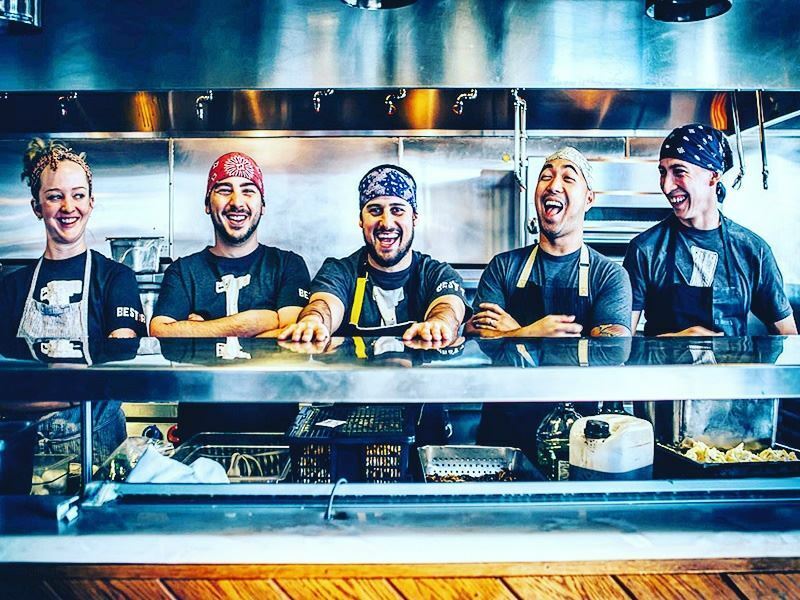 For the ultimate experience, sit at the chef’s bar where you’ll have an unobstructed view of the kitchen and the meticulously talented team who work together to craft every delectable dish. Signature dish: The ever-changing menu at Trois Mec means there is no signature dish. Where: Night + Market is located at 9043 Sunset Boulevard in Hollywood. The scene: Enjoy all the beautiful sights, intriguing sounds and gorgeous smells of Thai street food without ever stepping foot outside LA by making a reservation at Night + Market. This kitschy restaurant invites bold foodies to venture outside their comfort zones with an eclectic menu inspired by the night market foods of Bangkok and the rustic flavours of northern Thailand. Brightly coloured walls painted everything from primary red to neon pink, gaudy floral tablecloths and unusual artwork create a young and funky pop-art feel inside, great for casual lunches and meals with friends. The outside patio is perfect for a more romantic dining experience, with beer garden-esque long tables, rows of cute fairy lights and the iconic Singha beer-branded parasols offering some much-needed shade to lunchtime diners. The menu is extensive, packed with so many tempting snacks and small starters, spicy salads, noodles, soups, curries, sit-fries, seafood and desserts that you’re almost guaranteed to leave with a doggy bag. Signature dish: Pork toro: a salty-like-bacon pig neck grilled to crispy perfection and served with a fiery chilli dip. Where: n/naka is located at 3455 Overland Avenue. The scene: Owned by one of the only female Kaiseki chefs in the world, n/naka is an exemplary Japanese restaurant which specialises in modern food influenced by an ancient, multi-course meal service popular throughout Japan. 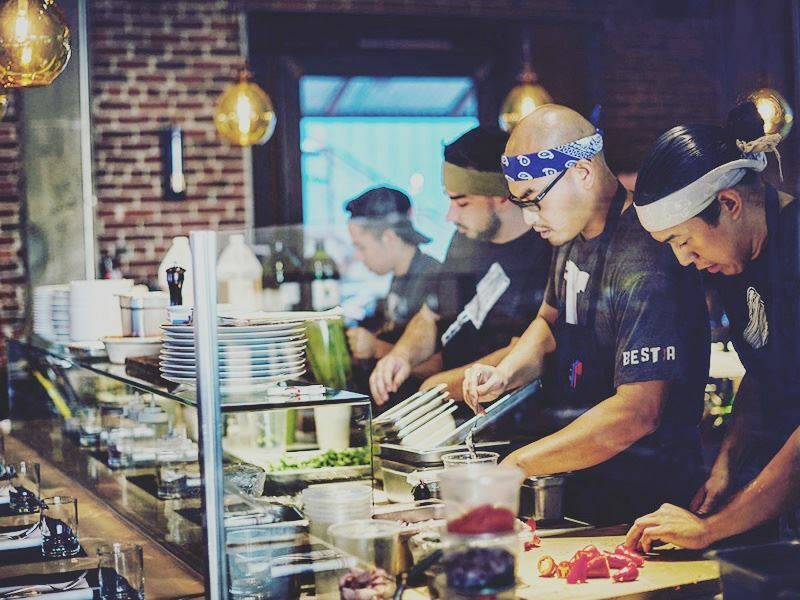 The concept might not sound out of the ordinary, but you’ll be hard pressed to find any other restaurant in Los Angeles doing anything similar to such remarkably high standards. Diners can choose from exquisite 13-course standard or vegetarian menus which are based on seasonality and are therefore subject to change almost daily. All the carefully crafted dishes explore the traditional Kaiseki service (a type of traditional cuisine in which a series of small, intricate plates are prepared one after another) with contemporary accents in techniques and flavour pairings. Wine and sake pairings are also available for an affordable supplement. The minimalist décor with plain business-like walls, two-seater tables and traditional shoji paper room dividers ensure there are no distractions from the delicate dishes which are almost too breathtakingly beautiful to take a knife and fork to. 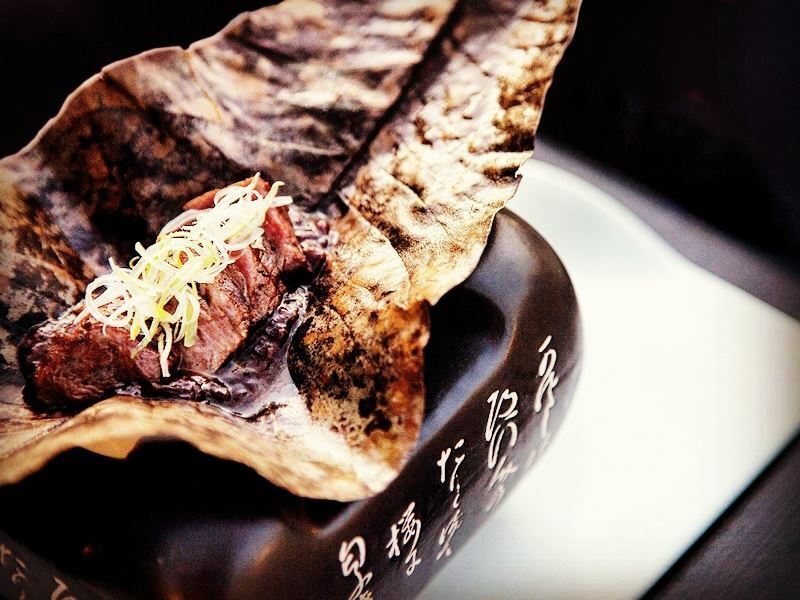 Signature dish: Daily changing menus make it hard to pinpoint a signature dish, but whenever the Wagyu beef is on the menu, it’s always amazing.